Take on harsh weather in style with Muck Arctic Sport ll Series Extreme Conditions Mid-Height Rubber Women's Winter Boots. 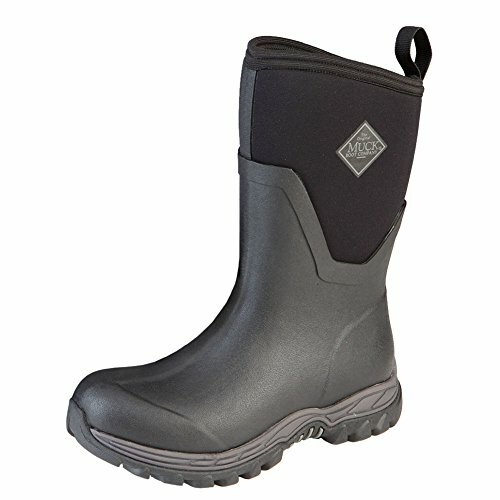 These mid-cut insulated boots have a rugged, slip-resistant outsole to help you keep your footing on wet and icy terrain. The tough CR Flex-Foam material is completely waterproof, and it offers exceptional flexibility and shock absorption while helping to seal in warmth in frigid temperatures. Whether you're shoveling the driveway or trekking into the wilderness, the women's last of these women's snow boots is shaped for better fit and support for extended comfort on your feet. A soft insole gives you valuable extra cushioning and cozy fleece lining on the inside provides superior warmth. These women's winter boots will pair effortlessly with outerwear in any color or style.